When it comes to planning your day, you are in control. With the support of our experienced team we can build your day, your way, catering for every taste and preference. We are happy to guide you through the services we offer and the different options for your day, or to be led by your ideas and needs – whatever suits you best. Nestled on Falmouth Harbour, The Greenbank is the only hotel in the South West to own its private pontoons and moorings. 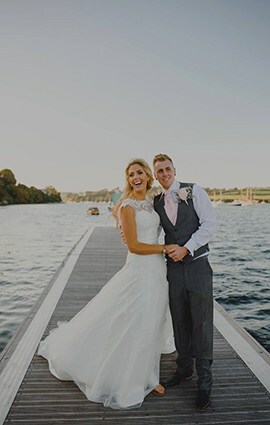 Arrive by boat to greet your guests, celebrate with a river cruise drinks reception, or sail away together as husband and wife. 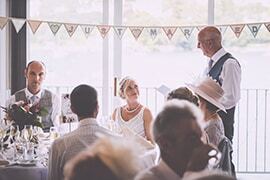 When it comes to weddings and civil ceremonies in Cornwall, romance abounds at The Greenbank. Whether you are looking to have the full day with us or perhaps a more modest, intimate wedding breakfast – we offer complete flexibility to build your perfect day. From unbeatable views and the ﬁnest food, to a warm atmosphere and impeccable service, The Greenbank team is well-rehearsed in helping your day run smoothly. 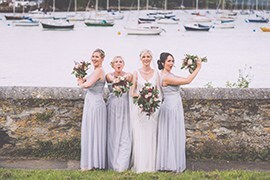 Jane and the crew will take care of all the details, so you can simply focus on having the best day of your life. "The whole thing ran like clockwork. 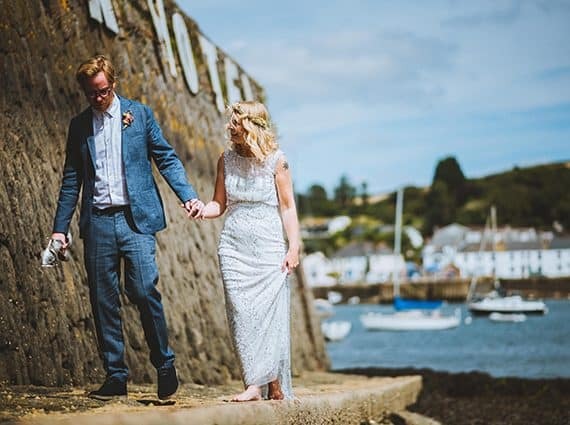 As we exchanged our vows overlooking the River Fal and all the boats with the sunlight streaming into the room, it really did feel very special."